Bonnie Hidalgo, Brighton, CO, saved the day by filling in as the reporter last minute. Hale’s Southern Touch captured the 2017 Invitational title with a decisive final series performance. Dr. Jeff Hale’s six-year-old pointer female was handled by Shawn Kinkelaar. She scored three finds in a forward race and finished going away. The advertised judges, Everett Brannan of Powderly, Texas and Dr. Jim Mills of Searcy, Arkansas called back four pointers to run in the third series. The final series is a grueling ninety minutes; the first two are one hour each. The other three finalists were Palara, handled by Mike Tracy for owner Salverio Morelli; Tangled Sheets, owned by Johnny and Rita Ornsby and handled by Shawn Kinkelaar and World Class Cliff handled by Stacy Perkins for owners Mick Merietta, Brian Hamilton and Bill Cignetti. A full report of the trial will be forthcoming. Hale’s Southern Touch is the 2017 United States Shooting Dog Invitational Champion. Dr. Jeff Hale’s six-year-old pointer female emerged victorious after three strenuous series. Shawn Kinkelaar handled her throughout the stake which consisted of two one-hour series on consecutive days. She pointed birds in the first series on Saturday, went birdless in the second series on Sunday but acquitted herself well enough overall to make the final four dog series on Presidents’ Day. In that final series, she was nothing shy of awesome. With three finds in a hard driving 90-minute race she decisively annexed the title. One dozen of the nation’s top sixteen Shooting Dogs were entered in the Shooting Dog Invitational. The number two, three, four and ten ranked dogs were unable to attend, opening the invitation to numbers thirteen through sixteen. They each ran an hour on two consecutive days; based on an average of their performances, four dogs were called back to run in the third series. In addition to the winner, the finalists were Palara, handled by Mike Tracy for owner Salverio Morelli; Tangled Sheets, owned by Johnny and Rita Ornsby and handled by Shawn Kinkelaar and World Class Cliff handled by Stacy Perkins for owners Mick Merietta, Brian Hamilton and Bill Cignetti. Camp Robinson has been the home of the US Shooting Dog Invitational Championship since its inception; the Invitational gained its Championship status for the 1990 renewal marking this as the 28th running. 2017 is its 21st year under the stewardship of Johnny and Joyce Taylor. The popular field trial venue near Conway, Arkansas consists of six one-hour courses over varying terrain. The cover changes from wooded, to small fields, to open expanses. The first and fourth braces head off to the east winding around in all directions, the third and sixth return from the west. Throughout the courses are pre-released coveys of quail which erupt into the air at flush as if they were completely wild. Like wild birds they are not always easy to locate and a dog must hunt. The advertised judges, Everett Brannan of Powderly, Texas and Dr. Jim Mills of Searcy, Arkansas watched all the dogs with the same, close attention. They have been in this sport for many years and their knowledge and fair judging practices gain them numerous judicial assignments. They were accompanied by their lovely wives, Peggy Brannan, and Marion Mills. Trials of this caliber do not happen without generous sponsors. Purina is a major player at this event. They provide dog food to every entry and a generous portion to the winner. They sponsor the Ross Young painting of the winner that is awarded to the winning owner. Purina provides jackets for the judges and reporter and Purina logo hats for all. Everyone in attendance appreciates the contribution made by Purina to the sport and this event. Most dogs that are successful at major trials across the country, are fueled by Purina Pro Plan Performance. The proof of its quality is in the winning. SportDog was extremely generous in its support with the donation of a SportDog TEK 2.0LT GPS Track and Train collar; a SportDog Upland 1875 training collar, a SportDog Sport Hunter 1825 training collar; a SportDog No Bark 10R Collar and a dozen SportDog “the Handler’s Bag”. These gifts were door prizes for the participating handlers and owners. Tucker Saddlery bestowed the Invitational with six of their finest bridles and six of their sought after wool saddle pads. These were door prizes for owners and handlers and were well received! Garmin was generous in its donation of a Garmin Astro 430 with a T-5 collar and a Garmin/Tri-Tronics Pro 550 training collar. These were awarded to the winning handler. Gordon and Cindy Hazelwood donated a gorgeous Montana Silversmiths commemorative belt buckle to the winning owner. Gun Dog Supply provided twenty $25 gift cards for door prizes for handlers, owners, and judges. Bird Dog Whiskey donated product which was well received and handled responsibly. Leather Brothers donated a name-plate collar with handler’s name and number engraved for every entry. They also contributed 20 checkcords for door prizes. The Collar Clinic provided a gift certificate for collar repair which was given as one of the door prizes. World Class Kennels generously provided a stocked bar for each evening’s social hour and dinner. Jack Sanchez treated us all to a superb tenderloin steak dinner on Sunday night in honor of Great River Ice and his win here in 2016. There is a fine group of field trailers in Arkansas and as this event proved, they really know how to host a great trial! Johnny and Joyce Taylor handle the pre-trial arrangements but when the trial gets beyond the planning stage and swings into action the Taylor’s and Connie Crowell evenly orchestrate it. Joyce and Connie marshalled every brace and did a remarkable job. They handled countless other duties in the evenings. Johnny oversaw announcements, refreshment breaks between braces and numerous details including clean-up after the event. Johnny and Joyce arranged for the dinners and they were delicious. The Friday evening kick-off dinner was served by “Smoking Buns BBQ” and Saturday night was fried catfish and fried chicken served by “The Fish House”. Hot lunches were catered on Saturday and Sunday and they were incredibly satisfying. There were no complaints about any of the meals at this trial! The door prizes that Johnny, Joyce, and Connie handed out at the evening meals were eagerly received by all. Steve Messick was invaluable as the dog wagon driver and the leader of the road gallery. He was always in the correct spot at the proper time. Mike Taylor and Marcia Woody pitched in wherever needed and Mike took a lot of good photos. J.D. and Jill Smith were invaluable help in and around the clubhouse; J.D. was promoted to Grill Master by Johnny Taylor. He cooked the tenderloins that Jack Sanchez provided to absolute perfection! Shawn Kinkelaar lent a helping hand to Joyce and Johnny whenever needed for setting up the clubhouse for evening festivities. World Class Cliff was ranked number one in the points standings with 1,535 points. His previous season wins which qualified him for this Championship were 1st in the Bear Pond Open Shooting Dog Classic, Runner-up in the Missouri Open Shooting Dog Championship, Champion at the Midwest Open Shooting Dog Championship and The Illinois Open Shooting Dog Championship and First in the Oliver Deluca Open Shooting Dog Classic. Cliff is a white and liver pointer male owned by Mick Merietta, Brian Hamilton and Bill Cignetti of Pittsburg, Kansas. They were all on hand to watch this great dog compete. World Class Cliff has been handled to all his qualifying wins by Stacy Perkins of Galena, Kansas who handled him at this event as well. C.S. Shoeshine was ranked number 5 with 1,160 points. Shine’s qualifying placement was Champion at the National Open Shooting Dog Championship which comes with 500 bonus points. The white and black pointer male belongs to Tony and Becky Gibson, Union Springs, Alabama. Shine is handled by Doug Ray, Waynesboro, Georgia. Hale’s Southern Touch was ranked at 7 with 950 points. The six-year-old white and liver pointer female qualified by winning the Mississippi Open Shooting Dog Championship and by placing first in both the Texas Open Shooting Dog Classic and the Woodward County Open Shooting Dog Classic under the guidance of Buzzy Daugherty. “Bess” is owned by Dr. Jeff Hale, Russellville, Arkansas, Dr. Hale scouted Bess in all three series, his wife Melanie and daughters Dianna and Lillian rode some of her braces. Shawn Kinkelaar, Effingham, Illinois very capably handled her. Not’ta Snow Ball’s Chance ranked 8th on the list with 860 points. His qualifying points were earned by winning the Missouri Open Shooting Dog Championship, being Runner-up at the Sunflower Open Shooting Dog Championship and placing second at the Bear Pond Open Shooting Dog Classic. Rex Garner of Pittsburg, Kansas owns the white and liver pointer male. Stacy Perkins handled “Tim” to his qualifying wins and at this Championship. Back Country Tornado attained the number 9 ranking with 830 points. Mike Tracy qualified her by winning the Championship titles in the Atlantic Coast and Michigan Open Shooting Dog Championships. The white and orange pointer female is owned by Chris Catanzarite, Scenery Hill, Pennsylvania, who attended the Invitational to cheer her on. Mike Tracy handled “Tori” in the Invitational. Touch’s Diamante came in at number 11 with 660 points. The white and liver pointer male was named Champion at the Montana Open Shooting Dog Championship and Runner-up at the Idaho Open Shooting Dog Championship which earned him the invitation. “Sam” is owned and handled by Austin Turley of Molt, Montana. This was the sole amateur handled entry in the Invitational Championship. Austin was accompanied on the long trip by fellow Montanan Glenn Conover of Great Falls. C.S. Pressure Test ranked 12th with 660 points. The white and black setter male gained an invite by winning the National Prairie Chicken Shooting Dog Championship. 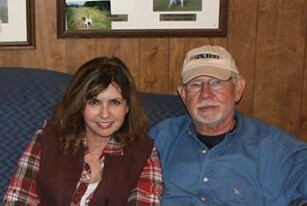 “Jake” is owned by Tony and Becky Gibson and was handled by Doug Ray. Big Rock von Kobe was listed at 13 in the rankings; with 660 points he was tied with Touch’s Diamante and CS Pressure Test. “Kobe”, a liver and white German Shorthair Pointer male won the title of Champion in three Open Shooting Dog Championships; those stakes were the National Chukar, the Oregon and the Pacific Coast. He is proudly owned by Kevin Prescott of Mill Creek, Washington and is handled by Dan Hoke, Cheney, WA. This was the team that traveled the farthest to compete in the Invitational. Tangled Sheets with 580 points ranked 14th. “Hottie” qualified with a first at the Fleetwood Open Shooting Dog Classic, second in the Tennessee Valley Open Shooting Dog Classic and Runner-up in the Midwest Open Shooting Dog Championship. Her qualifying wins were under the tutelage of Eddie Taylor. The white and liver pointer female is owned by Johnny and Rita Ornsby, Greenbrier, Arkansas. Both Johnny and Rita were on hand during all three series with Johnny doing the scouting. Tangled Sheets is currently handled by Shawn Kinkelaar while Eddie Taylor recuperates from a serious horse accident. Pine Straw Blackhawk came in at 15 in the rankings with 576 points. The tri-color English setter male qualified for his invitation by winning the Northeastern Shooting Dog Championship, taking second in the Smith Open Shooting Dog Classic and first in the Georgia Association Open Shooting Dog Classic. “Hawk” is handled by Jeanette Tracy, Glenville, PA. He is owned by Mike and Jacob Reeves, Macon, GA. Mike was mounted each day to watch the big running setter perform. Calico’s Cowboy Casanova was ranked 16th with 575 points. “Frank” qualified with a first in the Garden State Open Shooting Dog Classic, Runner-up in the Mid Atlantic Open Shooting Dog Championship and by being named Champion at the Canadian Open Shooting Dog Championship. The white and black pointer male is under the guidance of Mike Tracy. He is owned by Muriel Primm of Sanibel, Florida, Calico Kennels and Alex and Tiffany Smith all of Jettersville, Virginia. Muriel was in the saddle each day to watch her dog run. Dr. Jeff Hale acquired Hale’s Southern Touch just out of her derby year. She had an early start with Ike Todd before going to Ryan Westfall. Dr. Hale put her in the capable hands of Buzzy Daugherty where she did her share of winning. Buzzy put the points on her that earned her an invitation to this trial. The white and liver pointer female turned six just days before the Invitational. Jeff Hale is a dedicated owner and his care of this dog has been exceptional. One month before the Invitational, Bess broke her tail. She underwent surgery and then spent her recovery period in the Hale’s kitchen where Melanie Hale fell in love with her sweet personality. Dr. Hale took great medical care of her tail but he went beyond that. He devised a splint with plastic knives to support her tail enough that he could road her. In this manner, he kept the dog in shape so that she could compete here; and compete she did! Shawn Kinkelaar has been handling Bess while Buzzy recovers from a serious illness. The dog responds well to Shawn as is proven by her great victory here. This dog has to have a huge heart to have accomplished this win despite the adversity she encountered along the way. She appeared in the fifth brace of the initial series. Jeff Hale scouted his stylish pointer female while Melanie and daughter Lydia observed the brace from the gallery. Bess had a barren stand at 3 but redeemed herself by notching an impressive covey find at 32. Her race was fast and forward; a very fine job. Hale’s Southern Touch was in the third brace of the second series. She backed her bracemate’s find politely at 4. Bess ran an attractive forward race, hunting the cover at good range and high speed. She had no game contact. In the final series, Bess struck gold at 7 with gorgeous style on point, she was mannerly for the covey rise. At 34, above the lake she locked up on another covey with plenty of class and perfect decorum. Her third find came at 39; she was absolutely correct in style and manners. Bess ran a hard driving race, forward in pattern. She slowed for a few minutes late in the brace but revived and went on to make a powerful move to finish the 90 minutes. It was a very impressive performance on a hot and humid day. Tangled Sheets (Kinkelaar) and Calico’s Cowboy Casanova (M. Tracy) Johnny and Rita Ornsby were mounted for Hottie, as was Muriel Primm for Frank. Tangled Sheets was fast and attractive; she went to the limits of the course and occasionally this caused her to miss a turn. Otherwise she appeared naturally forward in pattern. She went the hour without game contact. Her handle could have been more kindly. Frank handled smoothly and was nearly always to the front; he moved attractively. He scored a beautiful find near the lake at 58 in “the dove field”. Back Country Tornado (M. Tracy) and Big Rock von Kobe (Hoke) Chris Catanzarite was riding for Tori. Kobe pointed with excellent style at 4 but it proved unproductive. Kobe handled nicely, staying forward but found no birds. Tori had an unproductive at 26, then scored a very good find at 38. She pointed again at 45 but no birds were produced. She finished well. Not’ta Snow Ball’s Chance (Perkins) with Touch’s Diamante (Turley) Snowball ran a good forward race, showing well but went without game contact. Diamante, handled by his owner, ran a strong, mostly forward race, and scored a stylish covey find at 11. His point at 55 proved barren. Sam finished the hour with plenty of fuel left in his tank. C.S. Pressure Test (Ray) and World Class Cliff (Perkins) Cliff’s owners, Mick Merietta, Brian Hamilton and Bill Cignetti of Pittsburg, KS were mounted. Brian was accompanied at the trial by his wife Christina and their daughter. This was the first brace of a sticky, hot afternoon. Pressure Test started well but shortened as the hour progressed. He had no bird contact. Cliff notched a stellar find at 11. He ran a strong, predominantly forward race and was attractive both on the ground and on birds. Hale’s Southern Touch (Kinkelaar)was paired with C.S. Shoeshine (Ray) Bess’s performance is listed above. Shine ran a good race. He honored Bess at 32 and pointed at 57 but that proved unproductive. Palara (M Tracy) and Pine Straw Blackhawk (J. Tracy) were paired in the final brace of the first series. Palara’s owner, Salverio J. Morelli of White Plains, NY was mounted. Mike Reeves was on hand to witness Blackhawk’s performance. Palara carded a pretty find at 2; a second stylish find came at 13, Hawk backed with class and excellent manners. Palara was consistently forward at desirable range. His performance was exciting. Hawk was fast and forward early on with a good handle; later in the hour the handle diminished and not a lot was seen of him. He found no birds. C.S. Shoeshine (Ray) and Palara (M. Tracy) Palara had a brief encounter with deer at 9, no birds were pointed this hour. Palara was mainly forward at good range, a very fine race. Shine was not very cooperative; in the second half of the hour, with no game contacts in either series, Doug opted to pick him up. World Class Cliff (Perkins) and Pine Straw Blackhawk (J Tracy) Hawk was lost early. Cliff had no birds but ran a pleasing, forward race. Hale’s Southern Touch (Kinkelaar) with C.S. Pressure Test (Ray) The winner’s hour was described earlier. Jake scored a good find at 4 with style and manners. Later in the hour, Jake was not suiting his handler and was put on the hook. Not’ta Snow Ball’s Chance (Perkins) and Big Rock von Kobe (Hoke) Sunday afternoon was another hot one. Both dogs were up early with no birds found. Calico’s Cowboy Casanova (M. Tracy) and Touch’s Diamante (Turley)Both dogs were strong forward from the start. Diamante was absent at 15 and found forward on point at 21. No birds were produced. Just after crossing the ridge road at 36, Frank scored a beautiful find on a big covey. Diamante heard the shot, turned toward it, stopping immediately to honor the flight. Diamante found no birds during his hour but showed speed and stamina. Frank pointed again at 44, standing tall but even relocation failed to net his quarry. He ran the entire hour forward. His range was greater and his speed faster than on the previous morning. He handled kindly and his performance was impressive. Tangled Sheets (Kinkelaar) and Back Country Tornado (M. Tracy) Hottie ran a big forward race with a reasonable handle. She had plenty of power throughout the hour. She was found pointed near the lake at 15. She stood high and tight on both ends for the flush of a large covey. Tori suffered a barren stand at 4; a second one at 26 near the Seawright Cut ended her bid for the finals. She was running well up to that time. Tangled Sheets finished strong and forward. Palara (M Tracy) with Tangled Sheets (Kinkelaar) Palara ran the entire 90 minutes forward, she had a lull in her pace around 1:10 but recovered quickly and was strong at the finish. She found no game in this series. Her proud owner Sal Morelli was riding. Tangled Sheets put down a strong forward race until 55 when she vanished near the dove field. She was not returned under judgment. Her owners Rita and Johnny Ornsby were mounted with Johnny scouting. World Class Cliff (Perkins) and Hale’s Southern Touch (Kinkelaar) See “The Winner” for Bess’ performance. Cliff was strong and forward for most of the first hour, after that the heat and the three-day grind began to show. He was picked up at 1:10 with no game contact.